With nine games remaining, the Colliers now trail leaders Shotley Bridge by 75 points and Harmison reckons the gap is too great: “I personally think the league title has gone but we will keep fighting,” he said. “We have all the top teams to play but Shotley Bridge don’t look like losing games. Also I don’t know what knock-on effect this defeat today will have on us because the lads will be a bit more demoralised. 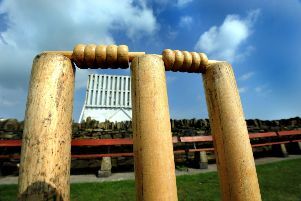 Ashington experienced the good with the bad as Consett reached 190-8 at the end of their 50 overs. The home side made a good start with 31 in eight overs but the Colliers hit back to rip the heart out of the top order. Gary Hunter (35) was Consett’s key man in the opening session holding the innings together whilst with the ball, Harmison struck twice and Matty Collins and Paul Rutherford once – aided by some fine catches by wicketkeeper Dan Grant and Ben O’Brien - to peg them back at 65-4. Stu Graham and Robbie Winn then added 65 for the fifth wicket until the former, after reaching his half century, despatched a long hop from O’Brien straight down Rutherford’s throat at short fine leg. When Winn, Aron McCabe and Paul Ringer fell within 14 runs, it rejuvenated Ashington - but their progress was checked as John Chapman (20 not out) and Sadiq Amin (24 not out) added 46 in the final six overs. Skipper Harmison had asked his batsmen to step up to the plate – but against the accuracy of Graham and Mark Dixon, they were never up with the required rate or allowed to dominate. Jack Jessop (23) and O’Brien (39) top scored but when Harmison (16) was caught behind by Chapman in the 36th over with the score on 99, Ashington’s hopes ended and they were all out from the fifth ball of the 43rd over, when last man Collins played on to a delivery from Amin. 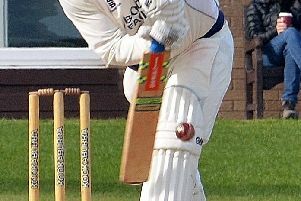 *Stephen Boyd scored his maiden century for Ashington last weekend. Unable to play for the first eleven, Boyd smashed an excellent 103 for the second team who won by 157 runs against Alnmouth & Lesbury seconds at Langwell Crescent. *On Saturday, Ashington’s first XI are at home to Percy Main.